You agree to the terms and conditions outlined in this Terms and Conditions of use Agreement with respect to our site (www.iblogger.prachidigital.in). This Agreement constitutes the entire and only agreement between us and you, and supersedes all prior or contemporaneous agreements, representations, warranties and understandings with respect to the Site, the content, services provided by or listed on the Site, and the subject matter of this Agreement. This Agreement may be amended by us at any time and at any frequency without specific notice to you. The latest Agreement will be posted on the Site, and you should review this Agreement prior to using the Site. As a condition to use the Platform on www.iblogger.prachidigital.in, the User is required to create an account with us. www.iblogger.prachidigital.in reserves the right to refuse registration of or cancel a User in its discretion. THE CONTENT, SERVICES, LISTED THROUGH THE SITE ARE PROVIDED “AS-IS,” “AS AVAILABLE,” AND ALL WARRANTIES, EXPRESS OR IMPLIED, ARE DISCLAIMED, INCLUDING BUT NOT LIMITED TO THE DISCLAIMER OF ANY IMPLIED WARRANTIES OF TITLE, NON-INFRINGEMENT, MERCHANTABILITY, QUALITY AND FITNESS FOR A PARTICULAR PURPOSE, WITH RESPECT TO THIS SITE AND ANY WEBSITE WITH WHICH IT IS LINKED. THE INFORMATION AND SERVICES MAY CONTAIN BUGS, ERRORS, PROBLEMS OR OTHER LIMITATIONS. WE HAVE NO LIABILITY WHATSOEVER FOR YOUR USE OF ANY INFORMATION OR SERVICE. IN PARTICULAR, BUT NOT AS A LIMITATION, WE ARE NOT LIABLE FOR ANY INDIRECT, INCIDENTAL OR CONSEQUENTIAL DAMAGES (INCLUDING DAMAGES FOR LOSS OF BUSINESS, LOSS OF PROFITS, LOSS OF MONEY, LITIGATION, OR THE LIKE), WHETHER BASED ON BREACH OF CONTRACT, BREACH OF WARRANTY, NEGLIGENCE, PRODUCT LIABILITY OR OTHERWISE, EVEN IF ADVISED OF THE POSSIBILITY OF SUCH DAMAGES. THE NEGATION OF DAMAGES SET FORTH ABOVE ARE FUNDAMENTAL ELEMENTS OF THE BASIS OF THE BARGAIN BETWEEN US AND YOU THE USER. THIS SITE AND THE INFORMATION WOULD NOT BE PROVIDED WITHOUT SUCH LIMITATIONS. NO ADVICE OR INFORMATION, WHETHER ORAL OR WRITTEN, OBTAINED BY YOU FROM US THROUGH THE SITE SHALL CREATE ANY WARRANTY, REPRESENTATION OR GUARANTEE NOT EXPRESSLY STATED IN THIS AGREEMENT. THE INFORMATION AND ALL OTHER MATERIALS ON THE SITE ARE PROVIDED FOR GENERAL INFORMATION PURPOSES ONLY AND DO NOT CONSTITUTE PROFESSIONAL ADVICE. IT IS YOUR RESPONSIBILITY TO EVALUATE THE ACCURACY AND COMPLETENESS OF ALL INFORMATION AVAILABLE ON THIS SITE OR ANY WEBSITE WITH WHICH IT IS LINKED. The materials appearing on this site could include technical, typographical, or photographic errors. www.iblogger.prachidigital.in does not warrant that any of the materials on its web site are accurate, complete, or current. www.iblogger.prachidigital.in may make changes to the materials contained on its web site at any time without notice. www.iblogger.prachidigital.in does not, however, make any commitment to update the materials. To the best of your knowledge, all factual information in the Content you upload is true and accurate, and the use of any recipe, formula, or instruction in the Content will not result in personal injury to any person. Despite all this, www.iblogger.prachidigital.in cannot guarantee the accuracy, integrity or quality of Content. www.iblogger.prachidigital.in reserves the right to refuse to permit your publication on the Site of any Content that www.iblogger.prachidigital.in, in its sole discretion, deems in violation of the terms and conditions set forth above. In addition, you represent and warrant that you have the legal capacity to enter into this Agreement, and that the entering into of this Agreement does not conflict with any arrangements or agreements between you and any other person or entity. Users are solely responsible for all the content they publish through www.iblogger.prachidigital.in. Views expressed by Users in their content are their individual views and www.iblogger.prachidigital.in is not responsible for any such views, expressions, ideas, comments, statements and content of the same. 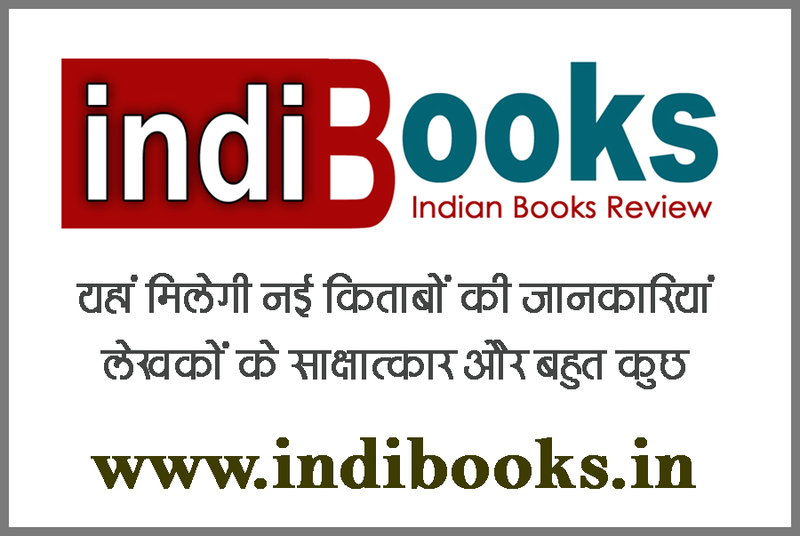 www.iblogger.prachidigital.in does not review the contents of a Book or other information provided by the users in any way before they are published. www.iblogger.prachidigital.in does not verify, endorse or otherwise vouch for the contents of any books published here. Users can be held legally liable for the contents of their books and may be held legally accountable if their books include, for example, defamatory comments or material protected by copyright, trademark, patent or trade secret law without the permission of the author or owner. The user agrees to indemnify and hold harmless www.iblogger.prachidigital.in, its employees, directors, officers, agents and their successors and assigns from and against any and all liabilities, damages, losses, costs and expenses, including attorney’s fees, caused by or arising from or in connection with the contents of the author’s book, including any claim of libel, defamation, violation of rights of privacy or publicity, loss of service by other members and infringement of intellectual property or other rights. As www.iblogger.prachidigital.in asks others to respect its intellectual property rights, it respects the intellectual property rights of others. If you believe that material located on or linked to by www.iblogger.prachidigital.in violates your copyright, you are encouraged to notify www.iblogger.prachidigital.in in accordance with www.iblogger.prachidigital.in’s Digital Millennium Copyright Act (“DMCA”) Policy. www.iblogger.prachidigital.in will respond to all such notices, including as required or appropriate by removing the infringing material or disabling all links to the infringing material. This Agreement does not transfer from www.iblogger.prachidigital.in to you any www.iblogger.prachidigital.in or third party intellectual property, and all right, title and interest in and to such property will remain (as between the parties) solely with www.iblogger.prachidigital.in. Neither www.iblogger.prachidigital.in (including its and their directors, employees, affiliates, agents, representatives or subcontractors) shall be liable for any loss or liability resulting, directly or indirectly, from delays or interruptions due to electronic or mechanical equipment failures, telephone interconnect problems, defects, weather, strikes, walkouts, fire, acts of God, riots, armed conflicts, acts of war, or other like causes. www.iblogger.prachidigital.in shall have no responsibility to provide you access to www.iblogger.prachidigital.in while interruption of www.iblogger.prachidigital.in is due to any such cause shall continue.